Waterworks Players have done it again. 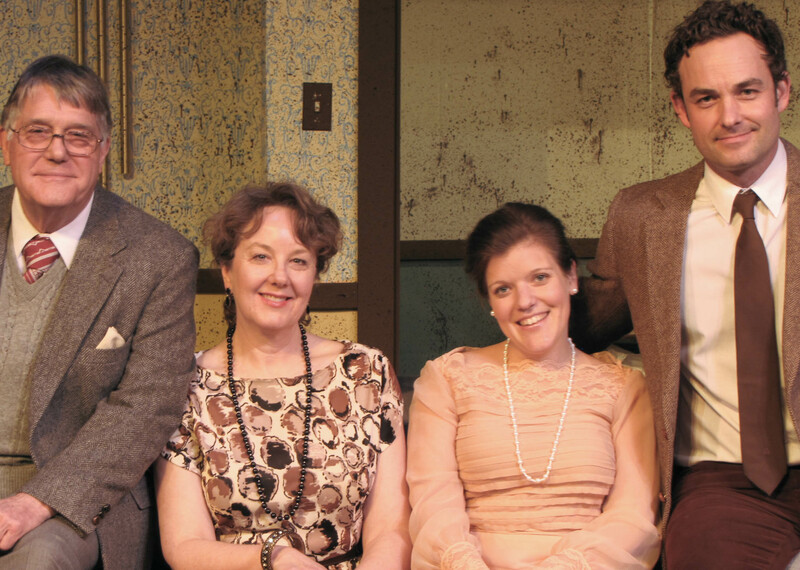 “Who’s Afraid of Virginia Woolf” is yet another successful production in a now long line-up of shows that are delivering first-class community theater to Farmville. Edward Albee’s “Who’s Afraid of Virginia Woolf” (1962) opened on Broadway in October of 1962 and won several top awards including a Tony Award for Best Play (1963) and the New York Drama Critics’ Circle Award for Best Play. Interestingly, Albee’s drama was selected for a Pulitzer Prize for Drama in 1963 but did not win because of the nature of some of the language. A film version, starring Elizabeth Taylor and Robert Burton, debuted in 1966. The screenplay preserved most of the play’s dialogue and was a hit with audiences, winning five Oscars. While many people are familiar with the title of Edward Albee’s play, fewer know the play itself. This is a story of fierce conflict and unsettling tensions. In his play Albee included various techniques associated with the Theater of the Absurd. This is art captured in edgy, provoking dialogue and raw, uncensored emotion. This work is full of the words, feelings and behaviors polite people normally hide from public view. Instead, George, a college professor, and his wife Martha (also the college president’s daughter), parade, wield and almost glory in their dysfunction in front of their guests Nick, an assistant professor of biology and Honey, his wife, who watch horrified yet reluctant and somehow unable to separate themselves from the chaos to which they are an audience. The story, which unfolds over the course of a very late evening in the first couple’s home, is told in three acts and with just four actors. As George and Martha gleefully expose the harsh edges and carefully guarded secrets hidden within their relationship, they incite the younger couple to abandon their own masks and manners, a decision that ends up exposing the realities buried within both relationships. Director Dudley Sauvé asserts that “Despite what you see on the surface, this is a love story.” The end of the third act pivots in an unexpected way allowing the play to end in a place no one would suspect was possible. The Waterworks cast is particularly strong in this show and includes Craig Challender (George), Leigh Lunsford (Martha), Happy Mahaney (Nick) and Hunter Palmer (Honey). Each actor interprets her/his role with a sensitivity that can only come when one has reached deep into a piece of literature and understands it. Lunsford captures the harsh inner landscape of a bitter older woman yet keeps her character’s vulnerability and tenderness in view of the audience. Challender is at once kind, beleaguered, sarcastic and somehow still soft in his role as George. His ability to pull all of these characteristics into one personality makes the show unforgettable. Parker and Mahaney also bring a level of excellence and experience to the stage and to their roles that make this show outstanding. Parker delivers a strong performance as the timid, innocent faculty wife while Mahaney deftly takes on the character of the opportunistic, charmer Nick who is at once reprehensible yet human. With this production, Farmville and surrounding communities can enjoy a well-produced drama that represents a significant and respected work of 20th-century literature. Show times are Friday, February 12 at 8:00 p.m., Saturday, February 13 at 2:00 p.m and Friday and Saturday, February 19 and 20 at 8:00 p.m. Tickets are $12.00 and may be purchased online at www.waterworksplayers.org. When you purchase your tickets online, you can select your own seating. Remember that this show is recommended for a mature audience and do come out and enjoy an evening of dramatic entertainment.